Did you know Coconut is one of the best natural moisturizers for your skin? Rita did, so we used an all natural coconut oil without the lauric acid removed. When you break coconut oil down into its base ingredients, like lauric acid, things start to look less miraculous and more like a science experiment. Coconut is also a natural UV blocker, but you should always use a sunscreen. Timu Moisturizing SPF 30 Sunscreen w/Titanium Dioxide is Oil and PABA Free. To be used daily after the Timu Toner. Includes a broad spectrum of sunscreens to protect against harmful UVA/UVB and infrared rays and help prevent sunburn and photo damage which cause premature aging. Timu Coconut Oil contains Coconut Oil, Apricot Kernel Oil, Sweet Almond Oil, Safflower Oil, Avocado Oil and Argan Oil. Rich in Vitamin A and E and contains anti-aging properties to prevent wrinkles. Fades Stretch marks and fights cellulite. A blend of six oils, apply after showering to moisturize and nourish the skin. Excellent when used as a deep tissue massage oil and conditioner for the hair. Coconut Oil and Coconut Moisturizer have a subtle coconut fragrance and smell wonderful. Timu Coconut Collagen Moisturizer – We have blended the beneficial ingredients of both the Timu Coconut Oil and the Elastin Collagen Moisturizer, which together, leaves your skin soft and hydrated. Timu Coconut Oil contains Coconut Oil, Apricot Kernel Oil, Sweet Almond Oil, Safflower Oil, Avocado Oil and Argan Oil. They are rich in Vitamin A and E which regenerate and maintain elasticity, help reduce lines, wrinkles and stretch marks. ​Our Collagen Moisturizer contains Elastin, Collagen, Kelp and Seaweed, Sunflower Oil and Shea Butter. Combine with our Collagen Gel to smooth, firm and tighten your skin. 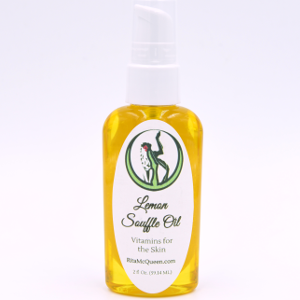 Lemon Souffle Oil – A unique blend of 11 pure natural oils, vitamins and minerals that feed, nourish, and hydrate the skin and hair. Use daily on face and throat to soften age lines and lighten dark circles. Helps heal sun damaged skin. Leaves your skin feeling smooth and radiant. Apply a small amount to hair for a shine or apply for 20 minutes or longer and wash off for a deep conditioner. Use as massage oil or as an excellent beard oil. Apply generously to face and body to hydrate, nourish, regenerate and maintain elasticity in the skin. 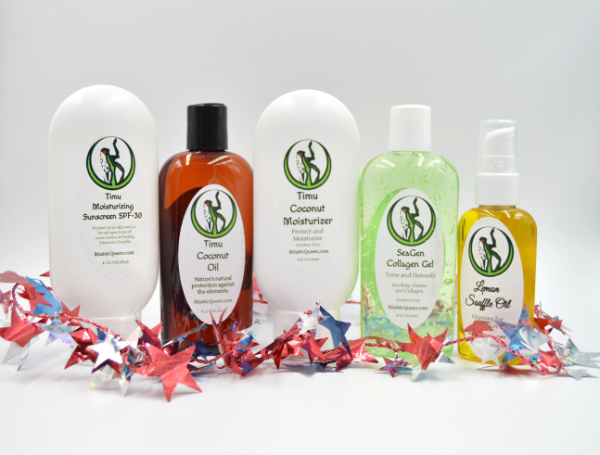 Coconut Oil, Apricot Kernel Oil, Sweet Almond Oil, Safflower Oil, Avocado Oil and Argan Oil.